Heavy duty lockable door and gate latches are suitable for both in-swing and out-swing doors or gates such as for garbage enclosures, sheds, barn doors, and other types of large swing doors that need to be locked. 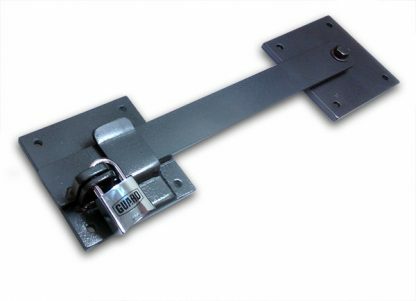 This type of latch is suitable for doors or gates that only require access from one side. 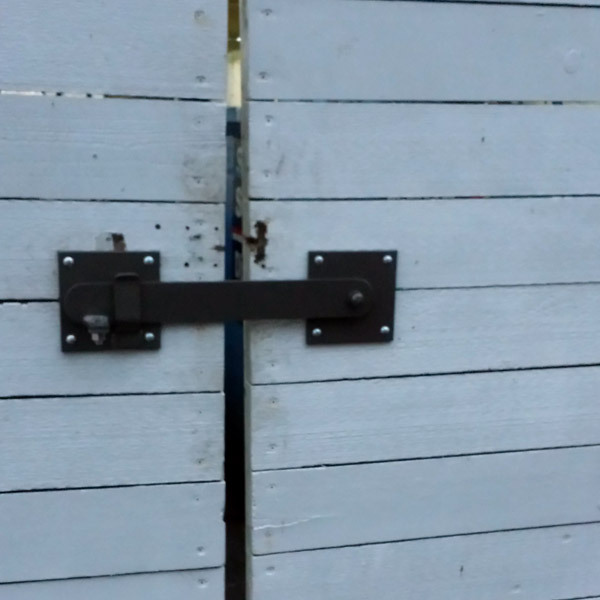 The latches are installed with carriage bolts through the doors. 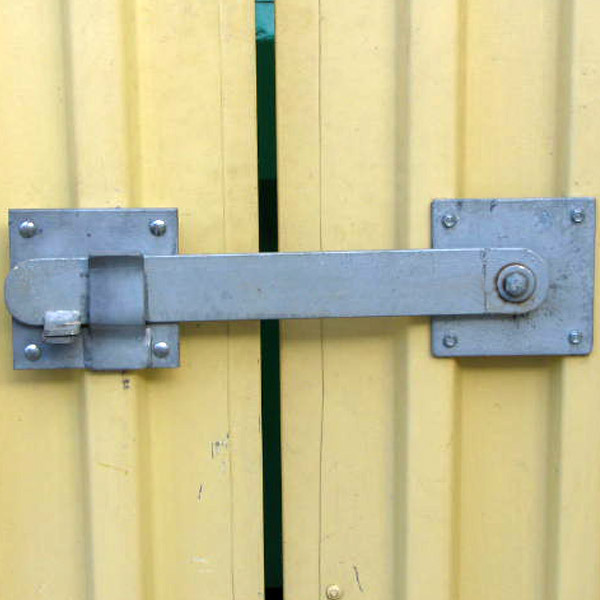 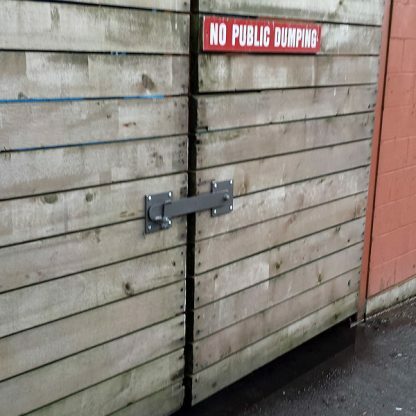 There is a pre-cut hole for applying your padlock to secure the latch.